Betsy has been at Children’s Therapy of Woodinville since 1993. She graduated from Ohio State University in 1977 and has specialized in pediatric physical therapy since the start of her career. She is certified in Neurodevelopmental Treatment for Infants and Children. 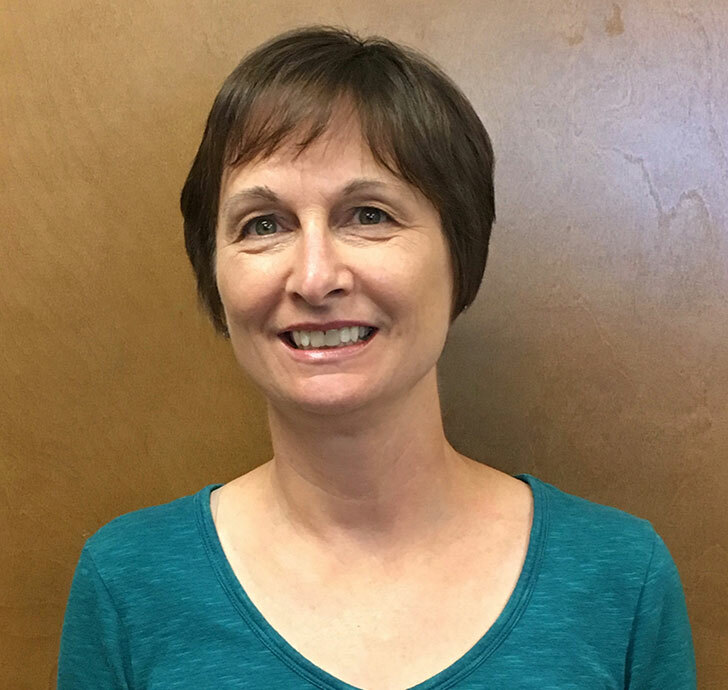 She has attended numerous treatment and diagnosis specific courses, including: toe walking, torticollis, sensory processing, core stability for kids, kinesio-taping, dynamic orthotic systems, and body weight supported gait training. Betsy enjoys working with babies and children with all levels of ability. She is especially interested in working with children with posture, movement, and gait difficulties associated with both orthopedic and neuromuscular diagnoses. She has expertise treating cerebral palsy, toe walking, torticollis, genetic disorders, and motor coordination difficulties and gait abnormalities. Betsy lives in Woodinville with her husband. She has four adult sons and three grandchildren. She enjoys time with family, hiking, and traveling.